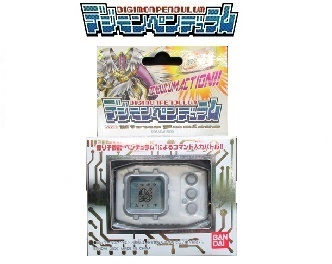 Digimon Pendulum ZERO Virus Busters (デジモンペンデュラム ＺＥＲＯ ウィルスバスターズ) is the sixth version of the Digimon Pendulum virtual pet. Greymon/Leomon: 2 or fewer Care Mistakes, Win Ratio 40% or higher, Training 40+ times, Battle 30 times. Asuramon is a Jogress Digimon. Combinations are below. Garurumon/Igamon: 4 or less Care Mistakes, Win Ratio 40% or higher, Training 40+ times, Battle 30 times. MetalMamemon is a Jogress Digimon. Combinations are below. Angemon/Tailmon: 1 or less Care Mistakes, Win Ratio 40% or higher, Training 40+ times, Battle 30 times. Angewomon is a Jogress Digimon. Combinations are below. 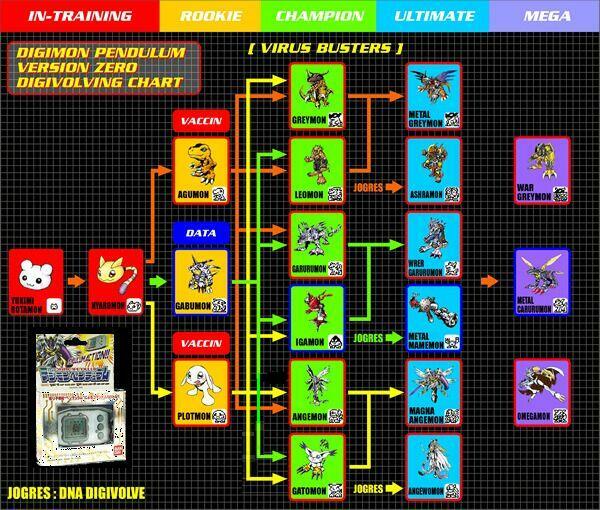 MetalGarurumon is a Jogress Digimon. Combinations are below. Omegamon is a Jogress Digimon. Combinations are below.